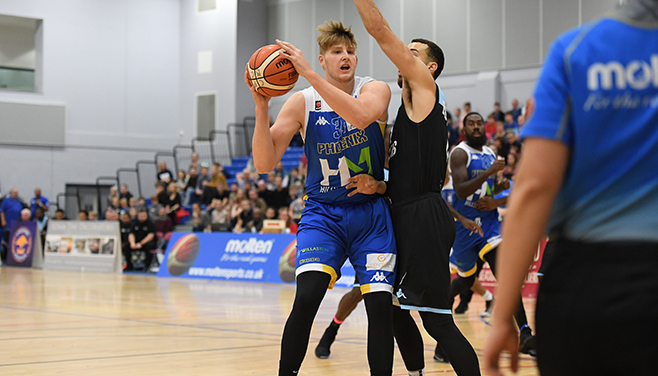 Cheshire Phoenix star CJ Gettys is continuing a terrific debut season after securing successive Molten BBL Player of the Month awards. Having landed the prestigious accolade for November, the centre continued his blistering form last month to establish himself as one of the leading lights in the BBL. The second top scorer during December with a prolific 23.4 points per game across his five outings, Gettys was lethal in and around the hoop after shooting a super 66% from the floor. Helping to take Phoenix to the 2018 BBL Cup Final on Sunday 28 January at Arena Birmingham, he also did the business on the glass with 8.6 boards per game. Gettys fought off competition from Esh Group Eagles Newcastle standout Jaysean Paige to take December’s honour. BBL on the BBC: Will the Wolves get back to winning ways against Bristol?